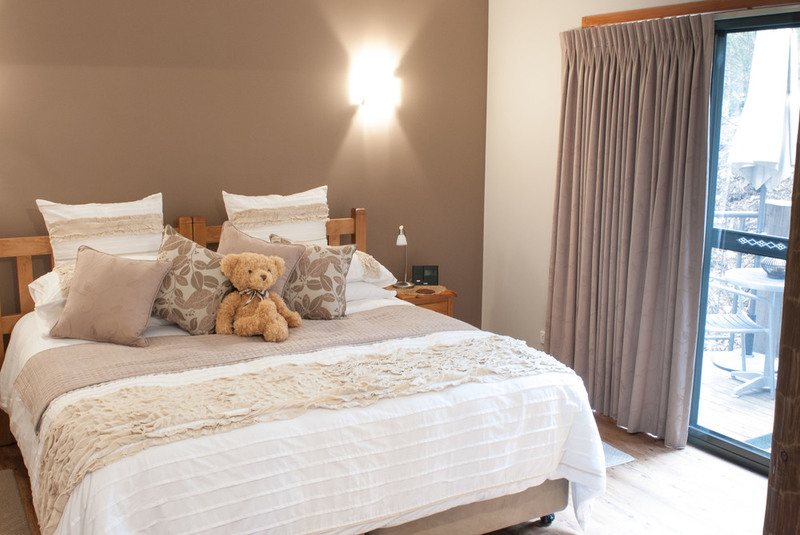 Bush Land Executive King Suite with a King-sized bed (or two single beds), complimentary local Wignall’s Port and chocolates bar fridge and cabinet with tea & coffee making facilities, air conditioning, leather lounge and dining setting. 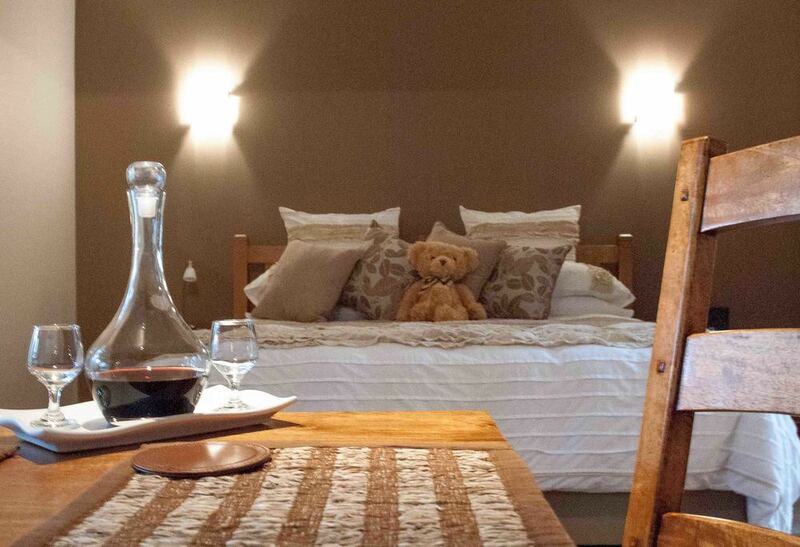 This large room is a favourite for guests who desire complete privacy, honeymooners especially. The outdoor deck has a table and chairs with a large umbrella and is set in our beautiful native bush land. NEW!! Bush Land has a custom made unit with a built in bar fridge, cupboard for food storage and tea and coffee making facilities.